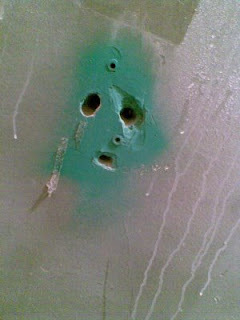 :: Construction Graffiti ::: Happy Friday the 13th! A tribute to Jason. Three holes and spraypaint.